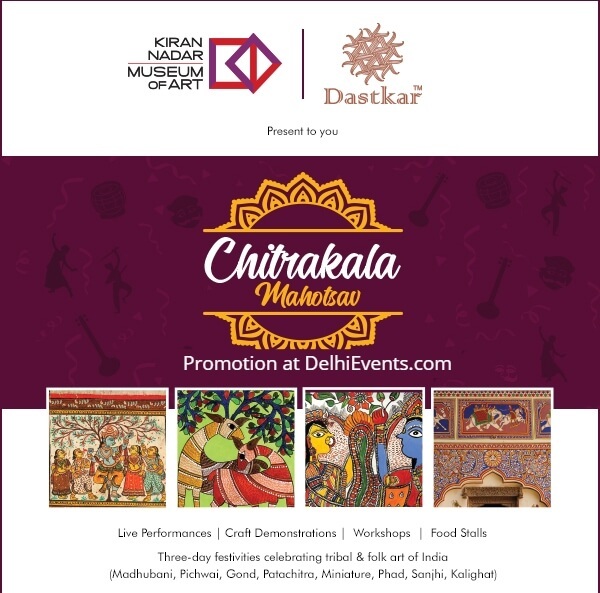 Chitrakala Mahotsav celebrates the diversity of Indian Art and Indian Crafts from across the nation. Showcasing the various indigenous folk art forms of our country.This is a three-day festival which includes paintings from village based artists on folk and tribal art forms like Madhubani, Pichwai, Gond, Pattachitra, Miniature, Phad, Sanjhi, Kalighat. This festival will also include workshops with interactive sessions with experts. This festival gives an opportunity to convene Indian artists, art lovers and art enthusiasts.